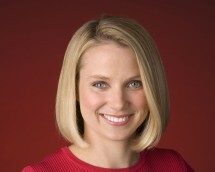 At the Web 2.0 Summit today in San Francisco, Google’s Marissa Mayer unexpectedly came on stage to unveil a new product. She first announced that Google has also reached a deal with Twitter, which she wrote a blog post about earlier in the day, following the announcement that Bing and Twitter had done the same thing. But Mayer had more to share. There’s a new Google product called “Social Search” that is launching soon in Google Labs. This is a new feature that allows you to see results for queries from people in your social network. This works by using your Google Profile. If you fill it out with the other social networks you’re a member of, such as FriendFeed, Google will scan who you are connected to and give your results from those people. Keys to this type of search will be local information as well as image searches, as Mayer and another Googler showed off today on stage. Mayer didn’t say it, but it’s probably safe to assume that this will only work for networks where the data is open. That means that you’re unlikely to be able to use your Facebook social graph for these web search results. This will launch in the next few weeks. This experiment will be opt-in for now, Mayer says. John Battelle asked Mayer how Twitter would work with Google. Mayer said that it will be integrated into regular results. A key to this functionality will be when articles and blog posts haven’t been written yet about breaking items. When pressed, Mayer would not disclose the details of the Twitter deal, but she did say the keyword, “financial terms,” as in, money changed hands. This is in contrast to the deal Facebook struck with Bing, in which no money changed hands, Facebook COO Sheryl Sandberg said earlier today. “We’re not trying to make money on data,” she said.